To achieve food self-sufficiency, a food processing workshop is being created. In this way local farmers would be able to diversify and enhance their productions. But the main goal is to accommodate the municipal estate surplus production on summer, while children are on vacation. 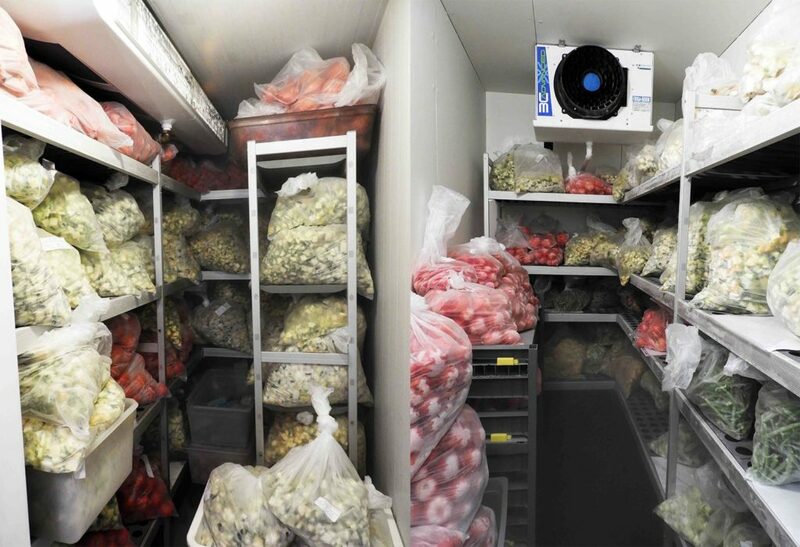 Meanwhile, the first freezing experiments have taken place : 1,5 ton of vegetables have entered the large negative cold room, which quickly became cramped: tomatoes, courgettes, peppers, green beans.... Thanks to that, in winter, the 1000 guests can still eat homemade vegetables and the order manager no longer has to call on external suppliers! In the long term: the total autonomy in organic vegetables in the canteens of Mouans-Sartoux.